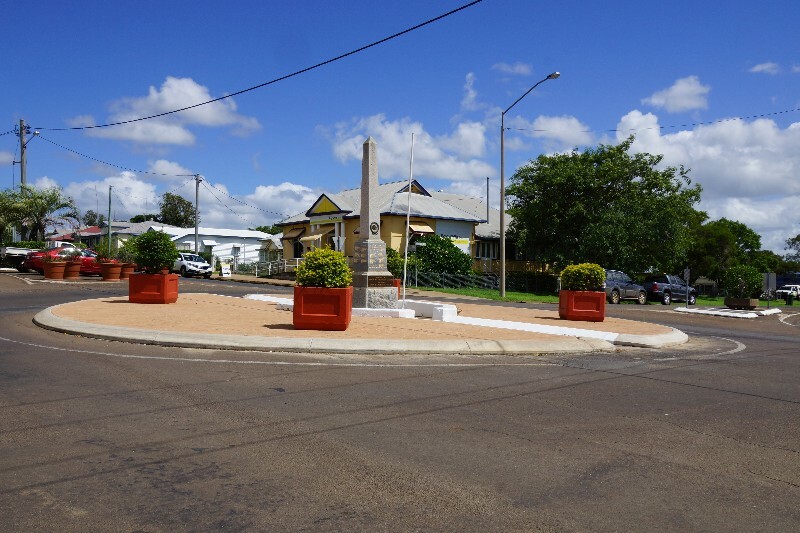 Just a short 2 km detour off the Burnett Highway lies the township of Mundubbera in Queensland. 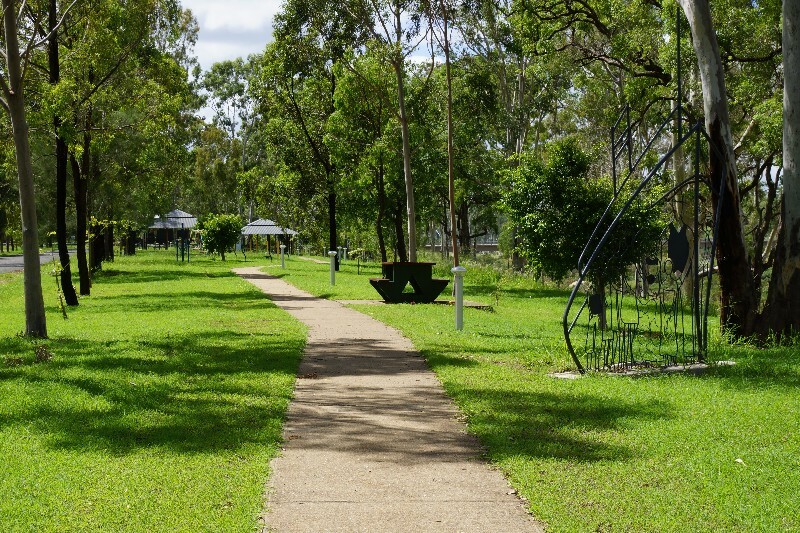 Nestled on the banks of the Burnett River, there are a number of beautiful parks and gardens which capitalise on the stunning river views. 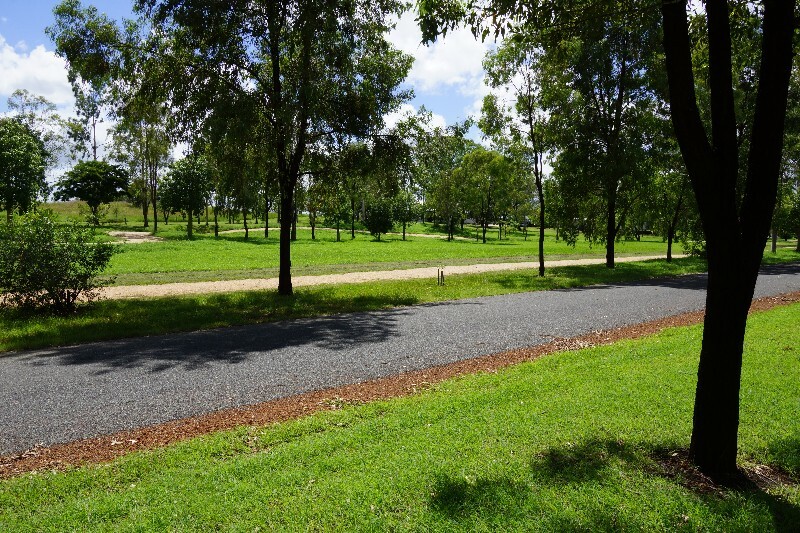 For travellers and locals alike, the town itself, has all you need to restock your supplies whist providing ample parking for cars, caravans, motorhomes, and the like. 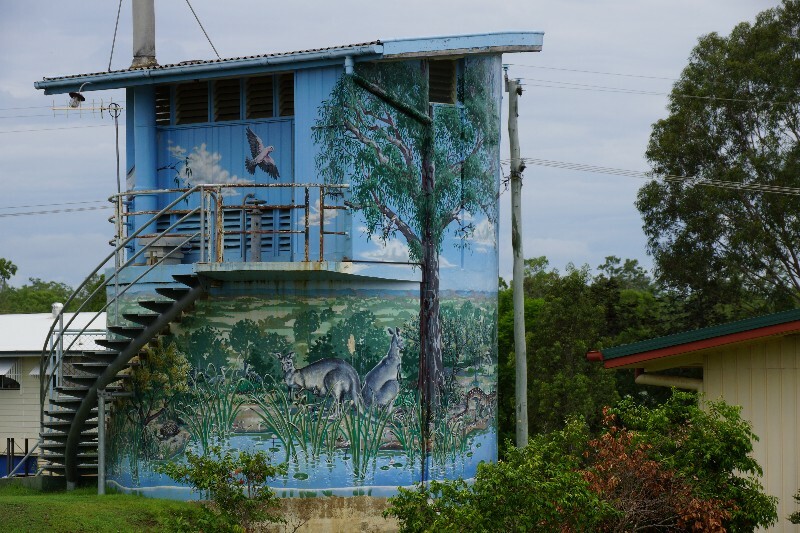 It is delightful to walk through a rural village and be greeted with a hearty Australian smile and “Hello”. In the quieter times of the year, expect peace and tranquility, however, when harvest time arrives, the town bursts into action as backpackers and fruit pickers descend . . . 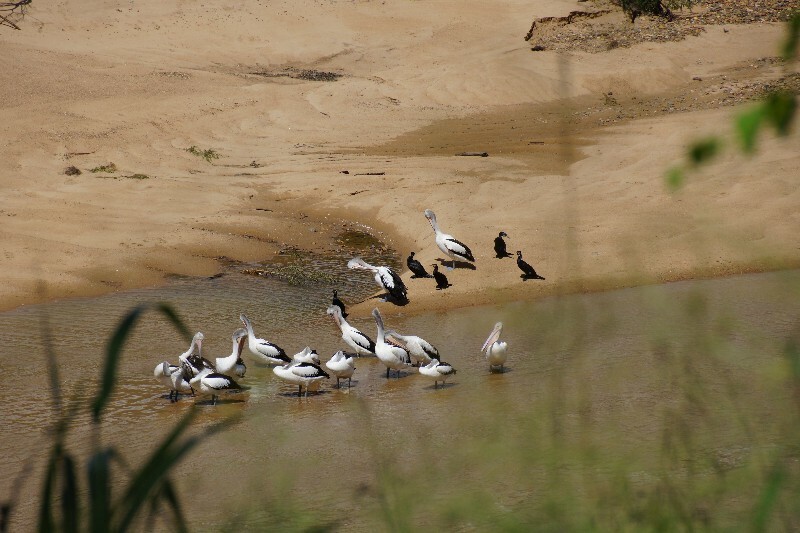 The Burnett River and Mundubbera bestows two distinct panoramas – the view upstream of the ‘Jones Weir’ is that of a full, still lake. The view of downsteam of the weir displays the river waters slowly meandering through the landscape, with sandy banks at intervals along the way – that is until the rains come . . . Designed to ensure a regular supply of water to the citrus and dairy farms of the region, ‘Jones Weir’ was commenced in the April of 1947 and completed some 4 years later, opening in the June of 1951. 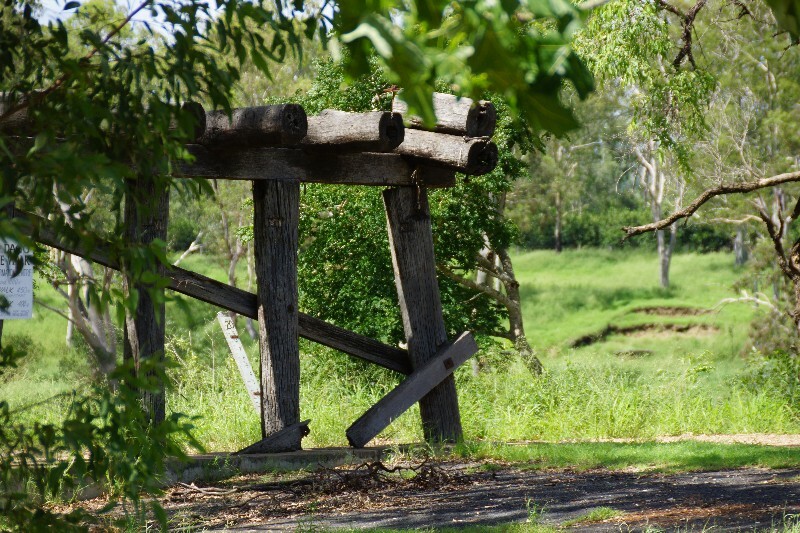 It is purportedly one of the oldest concrete weirs of its type to have been built in Queensland. The ‘Corser Bridge‘ was opened on the 25th April 1916, at a cost of over £7,000. 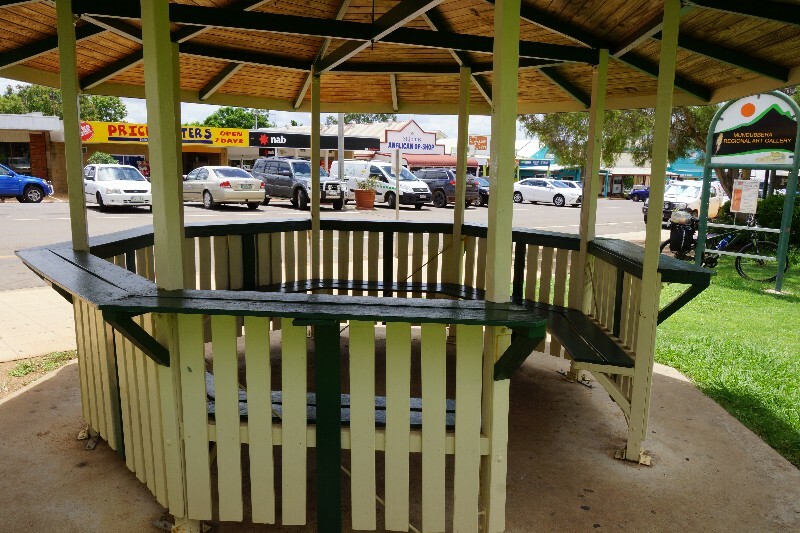 How Mundubbera came to be . 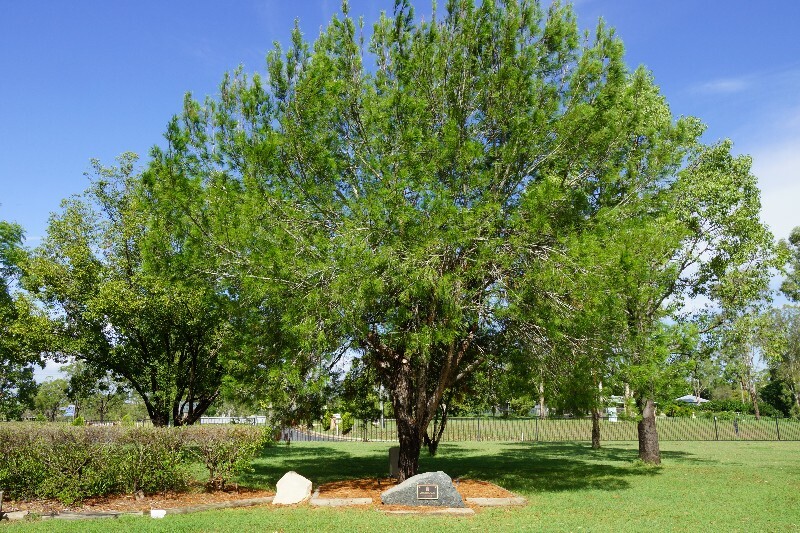 . .
“At the spot on St. John’s Creek where the Archers formed the head station of their first holding on the Burnett there used to be two cypress pine trees growing and it was from these two trees that the place got its name. “Kunan” being the native word for the cypress pine tree and “Bulla” meaning two, hence the name Coonambula, as spelt by the original settlers. (I have interrogated aboriginals of this district on this point and I have no doubt that the statement is correct). 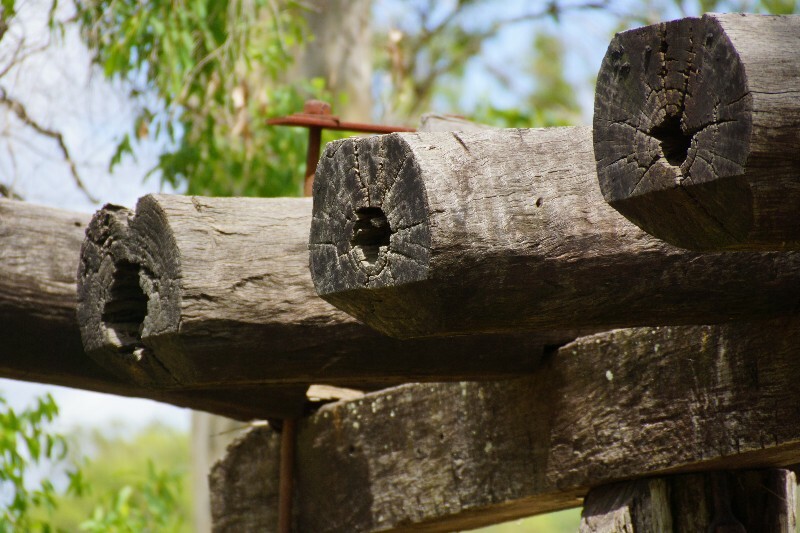 The aboriginal name for the country embracing Coonambula holding is Boo-borr, meaning something light in weight such as the wood of the cordwood tree. ” . 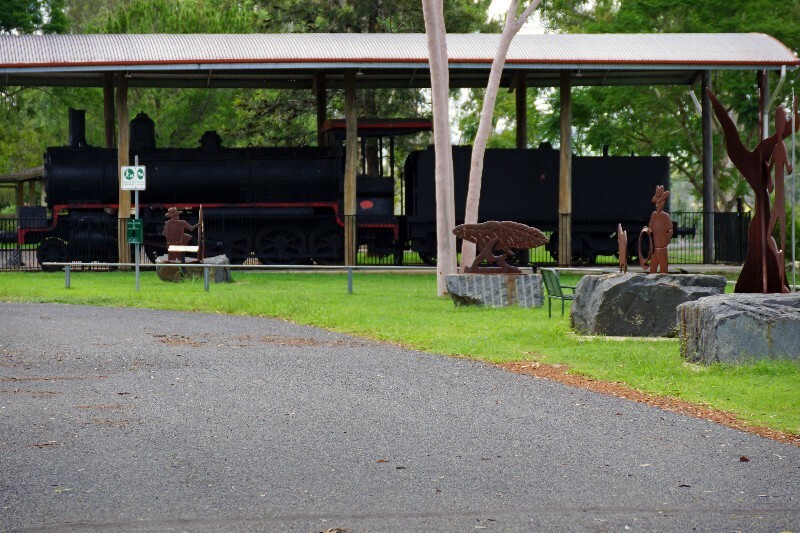 . . Mundubbera station was taken up by E. Pleydell Bouverie in 1848. 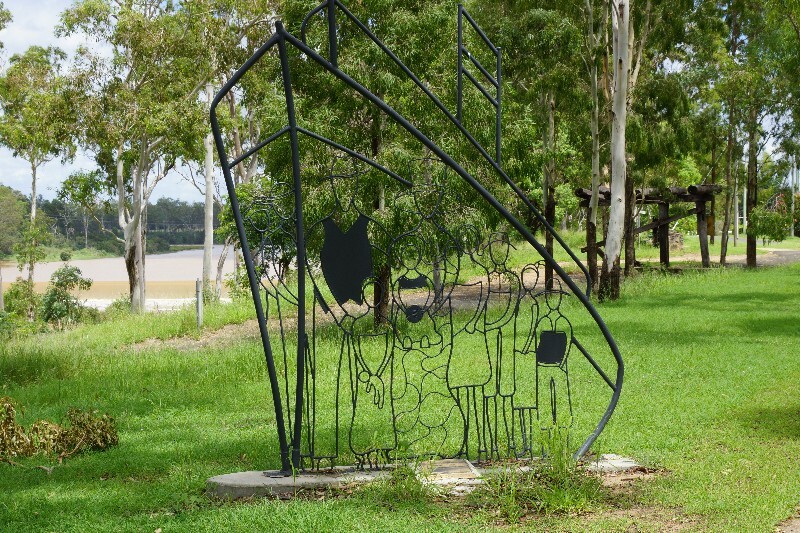 The aboriginal meaning of the word Mundubbera refers to those steps that aboriginals cut up either side of a tree to assist them in climbing. Munda meaning a foot and Burra a step. Bouverie built his head station on the south side of the river about a mile up stream from the present town. Bouverie was a nephew of the then Earl of Radnor. 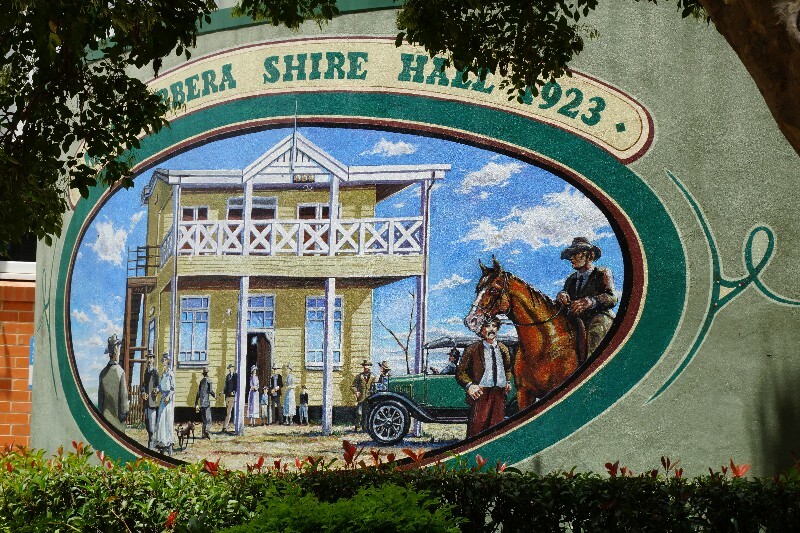 He sold Mundubbera to Peyton and Netterfield and during their occupancy of the property Mrs. Dougherty, the wife of a stockman on the station, was one day left at the homestead with her baby, while the men were away mustering; a blackfellow came and asked her to open the door, and, when she refused, threatened, “if you do not open the door you will see blood all around.” The black started to come down the chimney, and just at this time stockwhips were heard to crack and he ran away. 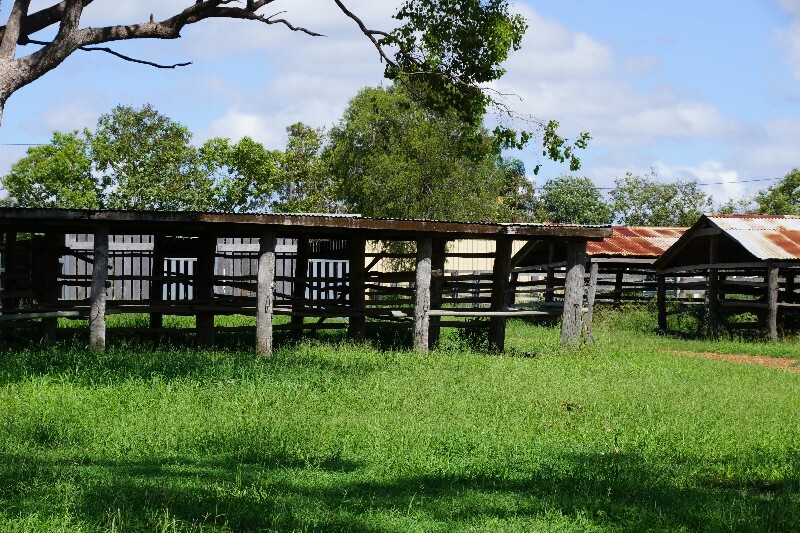 Mundubbera station was later sold to Rutledge and Knox and later still Knox and McCord became the owners. 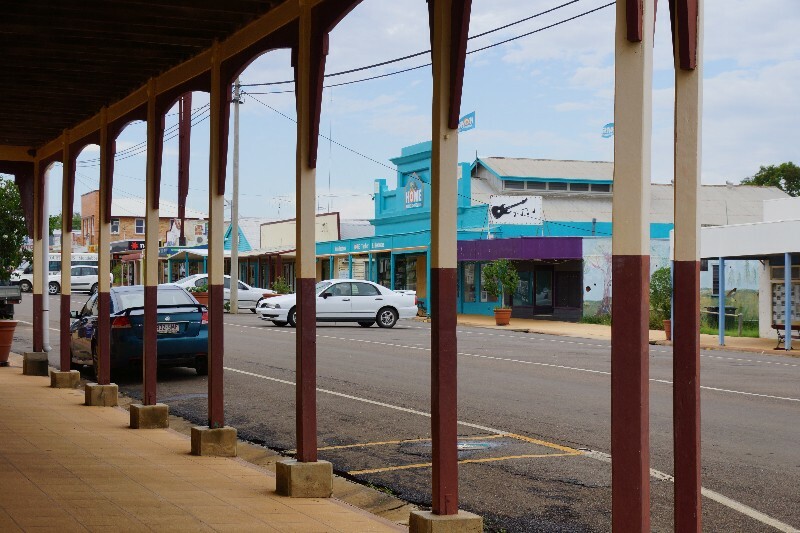 Knox and McCord bought Coonambula and it became the head station, and Mundubbera as a station went out of existence. 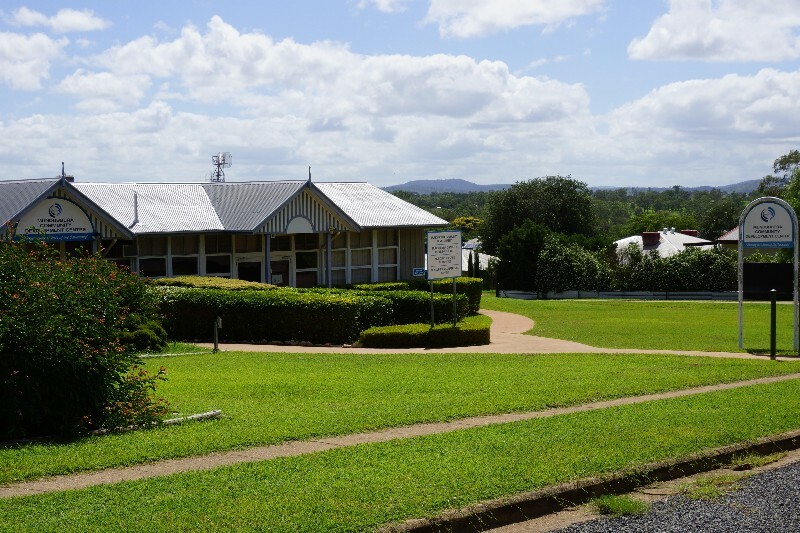 Coonambula station was discovered by Thomas Archer in 1848 and in the same year was settled by David Archer and Co. They sold to Cameron, Mackenzie, Murrin and Cornish, and in turn this firm sold to Knox and McCord. 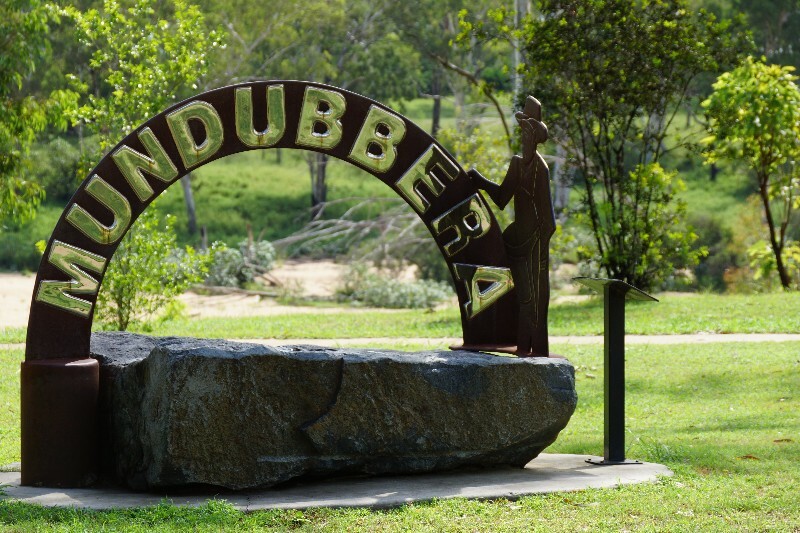 The town of Mundubbera was part of the old Coonambula lease. It was on Coonambula that the ceratodus or mud fish, an air breathing fish with lungs, was first scientifically studied by a German professor named Siemon. In 1884 William Hay Caldwell, who died in Scotland in 1941, also studied the ceratodus in the Burnett district, but his main study was the life history of the ornithorhyncus and echidna, two of the lowest forms of mammalia. It was he who discovered that the platypus and echidna were oviparous. Mr. R. A. Hamilton, of Rockybar station, as a young man in 1884, was attending to some lambing ewes on the No Go River when Caldwell came to camp there, a few miles below Burgoo waterhole. He relates that Caldwell paid a blackfellow £5 to bring him an echidna with an egg in the pouch. At first he thought that the egg was not genuine, but he said to Hamilton: “We’ll soon see, and he placed the egg in some preservative and cut the outside shell which was of a white leathery substance and holding it with a pair of pliers and cutting with a pair of scissors, he then inspected it microscopically and found that it was genuine. Caldwell then wired his discovery to Professor Liversidge, of Sydney University, in the follow-words: “Monotremes, Oviparous, Ovum, Meroblastic,” which means that he had discovered that the monotremes, that is the platypus and echidna, were animals in which reproduction takes place by eggs outside the body. This news was handed on to a scientific conference at the time sitting in Montreal. So the scientific world at last had the solution of a question that had troubled it for more than 80 years. Monotremes laid eggs. Caldwell had as many as 150 aboriginals helping him in his researches. They used to call him the Gecka man, this being the aboriginal name for the echidna or porcupine. 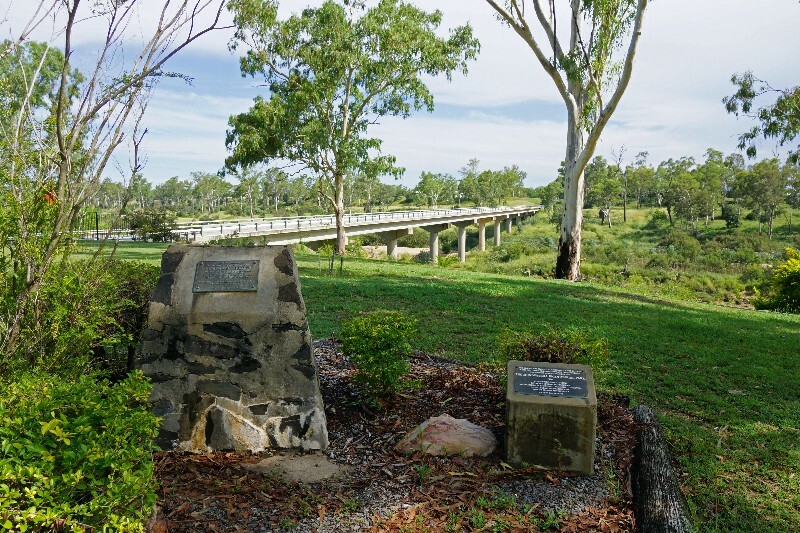 Interestingly, the township of Mundubbera, originally surveyed by James Postlethwaite in 1863, was sited on the south bank of the Burnett River, which would have been most feasible at the time, being directly on the road to Gayndah. It wasn’t until around 1909 that the foundations of a village were starting to take shape. It was likely to be the anticipation and then ultimate arrival of the railways (in the February of 1914), that really spurred the growth of a town. 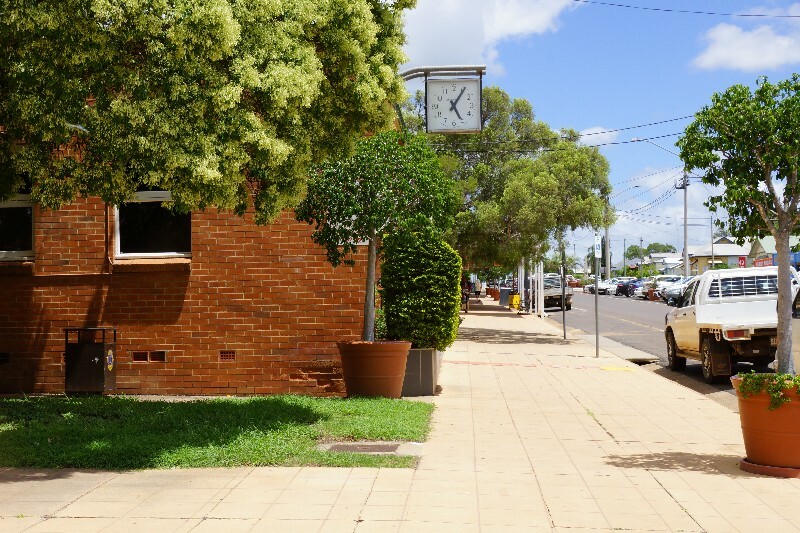 The railway station was sited on the northern bank of the river, and that is where the township is found today – on the elevated precinct of the river bank. 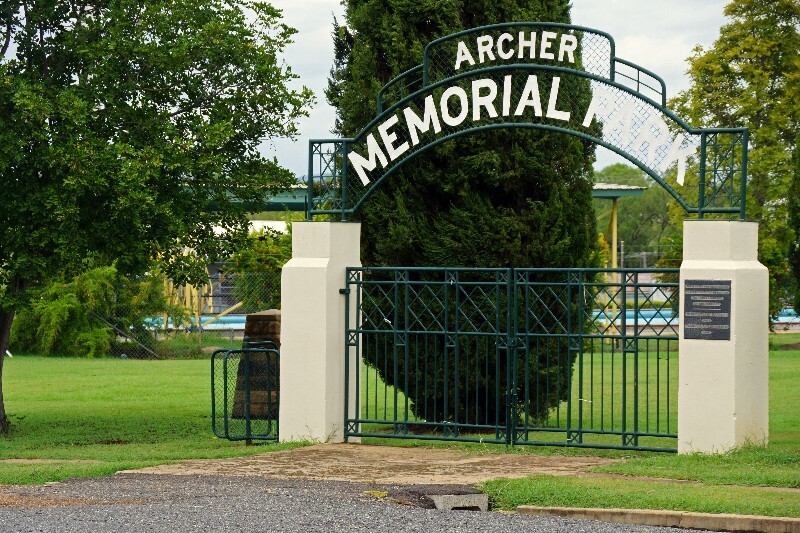 The present-day site of Mundubbera was surveyed in 1912, by Rockley Turner. 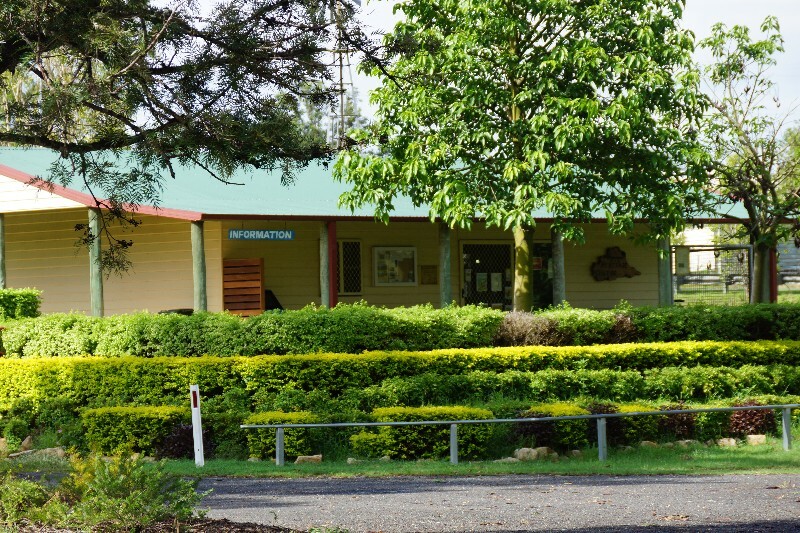 POI Australia has been designed to network Australia by encouraging and harnessing local knowledge wherever possible. 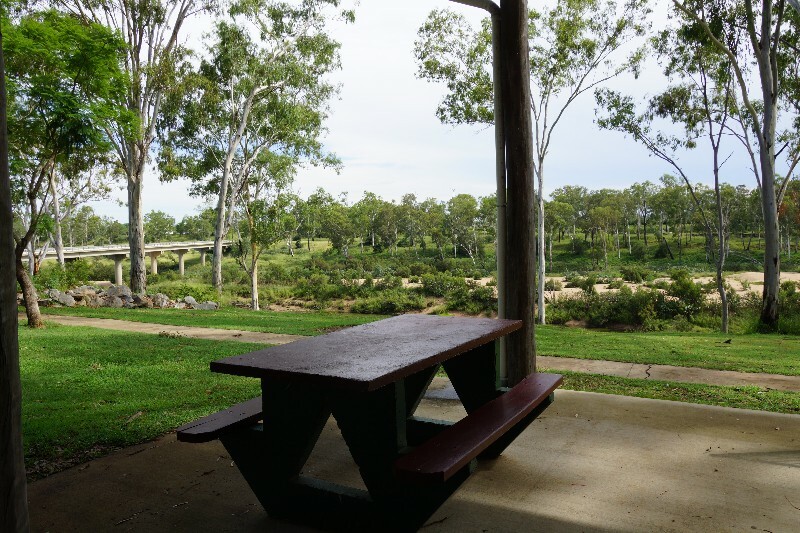 – encourage visitors, tourists and investors to the many amazing regions of Australia that are so often overlooked. 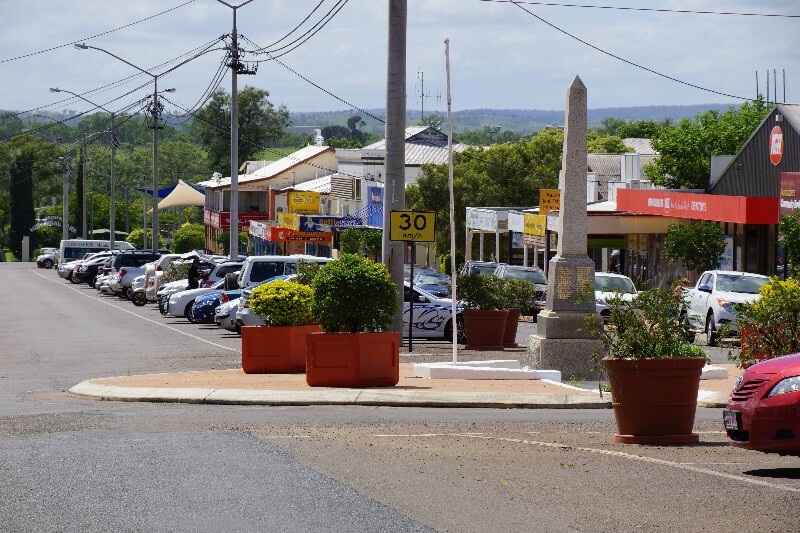 During our visit, we have endeavoured to capture the essence of Mundubbera and collectively, with our research, have summarised the Points Of Interest (POI) that we have found. We know that there are many more POI and stories to tell. 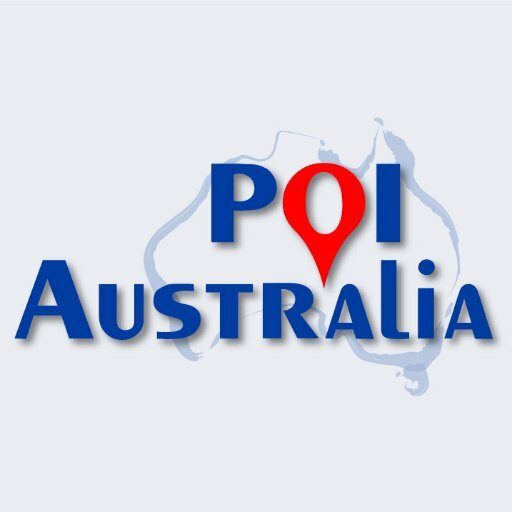 We enthusiastically invite and encourage contributions to POI Australia – no matter how large or small. To submit information regarding your town and region, please contact us. 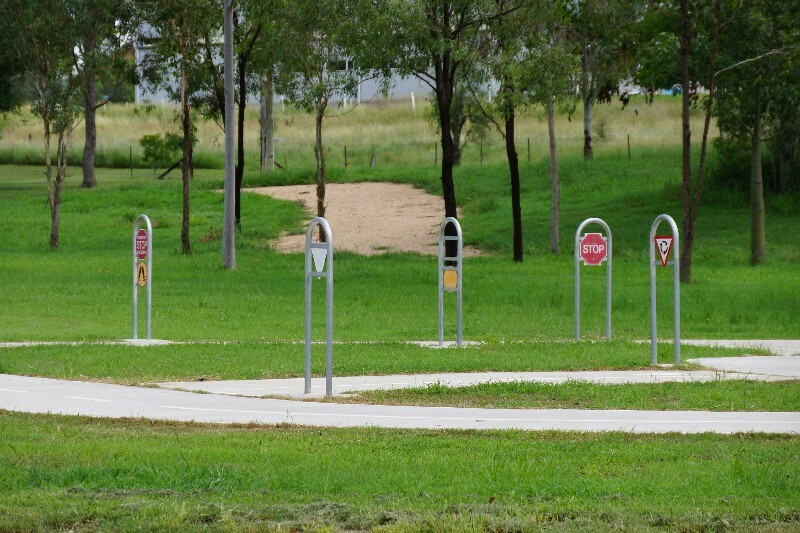 The information will be reviewed, edited (to suit the segment), approved and added to POI Australia. Remember: “a picture says a thousand words” – so the more photos – the better. To maintain relevancy of the information on the website, we are always grateful to receive updates at any time. 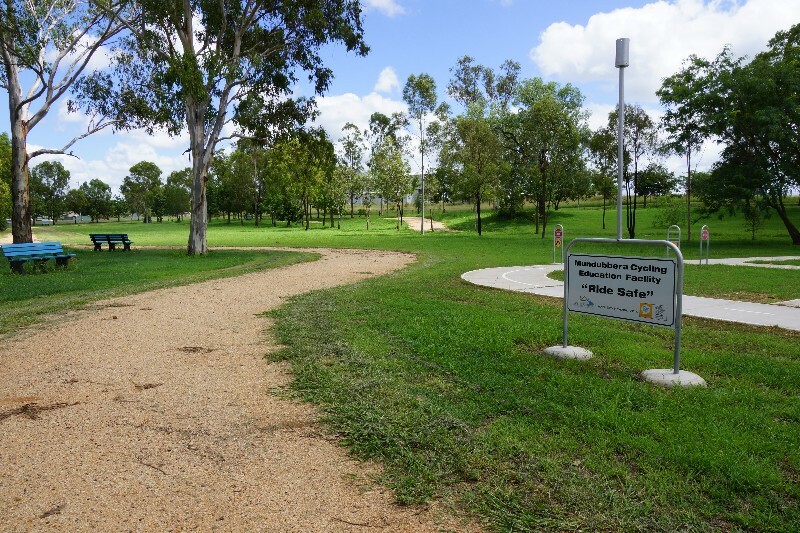 We encourage community organisations, sporting clubs, events, non-for-profit organisations to list with us, as all these services are totally free of charge – apply for your 100% Discount Coupon here. 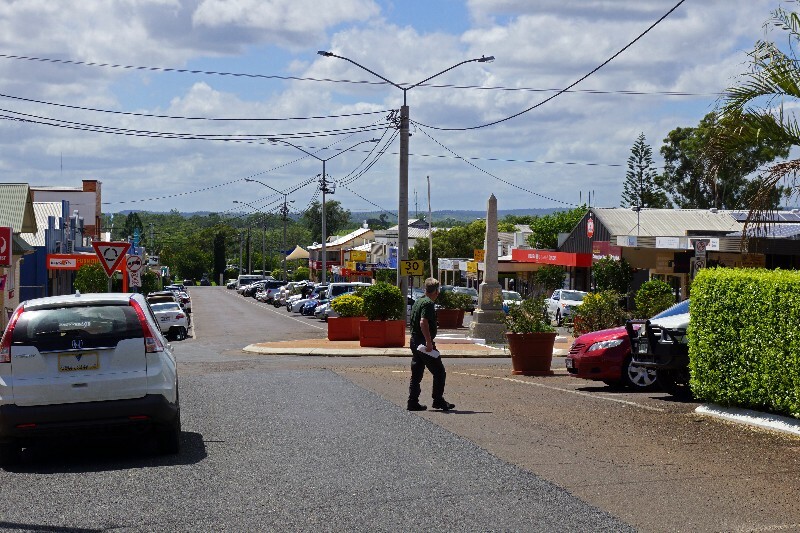 In order to maintain the free community services, POI Australia provides an opportunity for businesses to support their town and region by advertising for a nominal annual fee. The business listings are designed to be very quick and easy to complete, providing links to existing websites, Facebook, etc., so that time-poor business owners can quickly add and maintain their listings. We hope that the low charges will encourage business to “spread the word”. 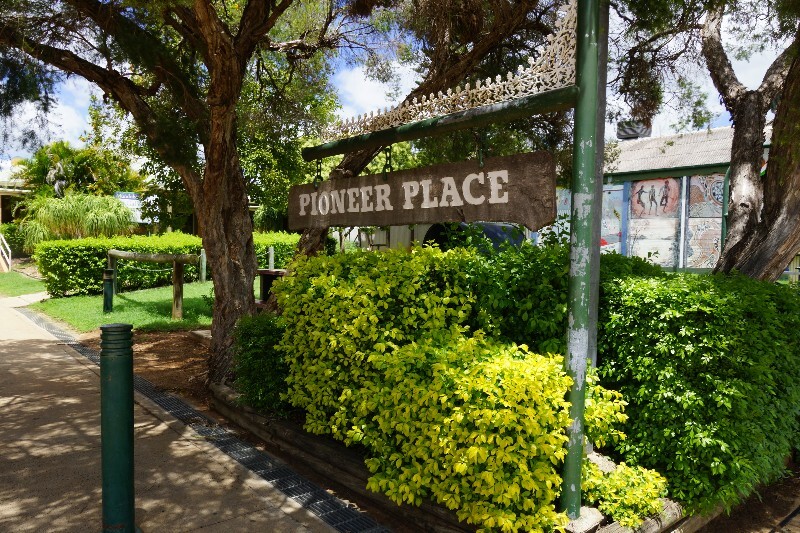 The more we network, the more successful we will be in promoting Australia’s locations, stories, histories, businesses, people, sustainability and the environment. Working together, we can protect our Country, our Environment and our Communities . . .